Wakodahatchee Wetlands, Palm Beach County, Florida, November 18, 2006. 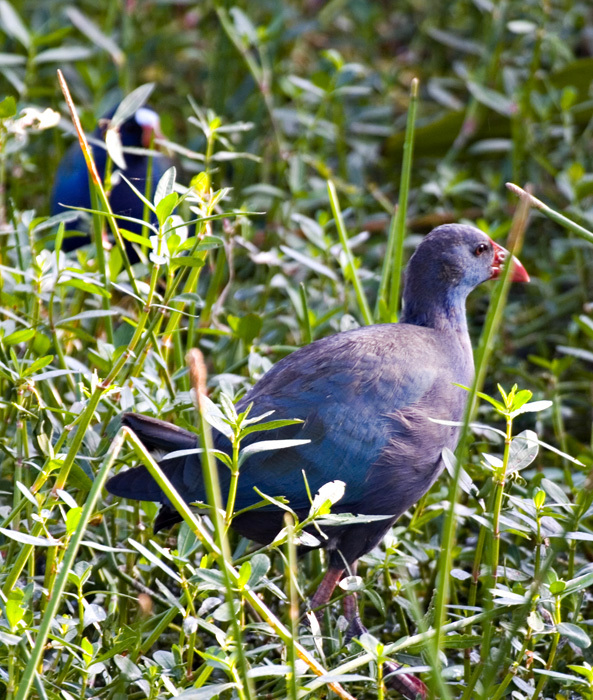 The exotic Purple Swamphen seems to be established in Palm Beach County. A Purple Gallinule can been seen lurking in the back left.